When an active or performance horse gets injured, the diagnosis and treatment can vary dramatically from surgery to solely stall rest. However, one thing is certain: your horse will need to go through some sort of rehabilitation when it’s time to start bringing him back. 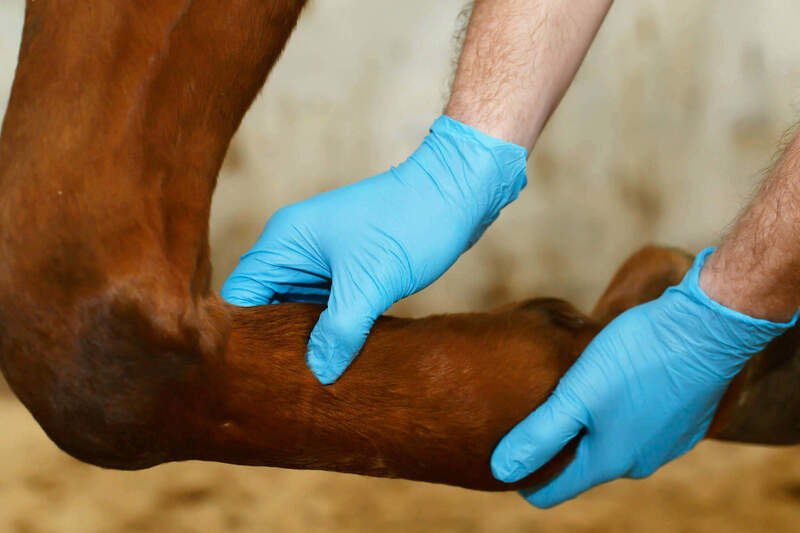 Luckily, some of the greatest advances in equine care over the last couple of decades have been related to handling the rehabilitation of an injured horse. Equine physical therapy is the application of specific exercises and equipment to help restore muscle strength, soft tissue flexibility and mobility skills to horses who have been sidelined due to injury. Physical therapy (or rehab) treatments can consist of heat, cold or hydrotherapy, laser or Magna Wave PEMF therapy, chiropractic, acupuncture and shockwave, in addition to a strict physical exercise program. Heat therapy is generally recommended for soreness due to the stress of physical exercise and is used after any pain or swelling has subsided in an injured area. Heat therapy allows the blood vessels to dilate, increasing circulation and helping in the healing process. Cold therapy, on the other hand, is best used on fresh injuries and restricts blood flow to help reduce swelling and inflammation. In order to get the area of injury cold enough, you will need to apply a cold pack, ice or other cooling system. Hydrotherapy is simply applying cold water to an injured area. Cold hosing is one of the most indispensable actions you can do to help reduce inflammation and should be among the first activities performed if your horse is lame, injured or kicked. Using the water from a hose is beneficial because it’s continually flowing and won’t warm-up when it touches the horse’s skin. Game Ready® equine therapy concentrates on RICE – rest, ice, compression and elevation – with their unique wraps to provide both active-compression and cold therapy. This system works to help reduce healing time for soft tissue injuries, can be used as part of a preventive program or for healing after orthopedic surgeries. Game Ready® Equine wraps provide compression that mimics your horse’s normal muscle contractions without requiring the normal wear-and-tear on his joints. The dry cold that comes with the compression helps to keep pain and swelling down. Therapy with Game Ready® Equine wraps may range from every few hours to begin with to once or twice daily, so make sure to consult your veterinarian for directions on how often and how long to use. Cold laser therapy is a non-invasive procedure performed by a veterinarian that utilizes infrared wavelengths or red light photons to help promote cell activity and aid in the healing process. Cold lasers are handheld devices the size of a flashlight and are aimed directly at the injured area. The emitted light penetrates through the horse’s skin and reaches the target area. It is recommended for use on soft tissue injuries, joint pain and severe wounds. Magna Wave PEMF (Pulsed Electro-Magnetic Field) therapy uses a gently pulsing magnetic field to help restore cellular health by stimulating cell metabolism. The electro-magnetic current gets carried along the nerve pathways and is absorbed by the tissues in the body, helping to increase blood flow to the area and stimulate the cells. 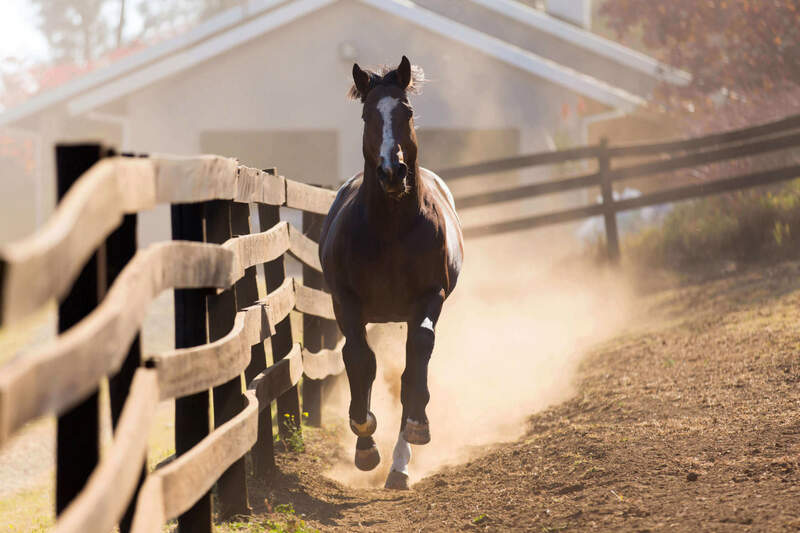 While the Magna Wave PEMF is generally used in the case of injury to assist in recovery, it can also be used on horses to help maintain general health and performance. Chiropractic care (manual therapy) is the use of applying controlled thrusts with the hands to specific joints or areas to cause an adjustment in joints, muscles or neurological reflexes. It is based on the theory that joint dysfunction affects neurological balance and adjustments are made to restore normal joint activity. The main focus with chiropractic work is the spinal column (vertebrae); however, the head, pelvis and limbs are also examined. Acupuncture is a form of traditional Chinese medicine that involves the insertion of thin needles through the skin at certain points (called acupuncture points) on the body. It’s based on the theory that energy (called “chi”) flows through the body along meridian lines, and acupuncture is a way to unblock the chi and help it flow back into balance. There are different types of acupuncture techniques: dry needling, aquapuncture and electroacupuncture. Dry needling is the use of thin needles only. Aquapuncture involves injecting a fluid (normally Vitamin B12) into the acupuncture site which continues to stimulate the point with pressure as the fluid gets absorbed over time. Electroacupuncture attaches electrodes to the acupuncture needles and sends out a pulsating electrical current. Frequency, intensity and type of electronic pulse can vary to attain stimulation. It is commonly used for neurological conditions and areas with non-responsive pain. While acupuncture uses needles and requires your veterinarian, acupressure – a technique in which pressure is applied to specific points on the body – can be performed by you along with massage and possibly TTouch. Your vet can guide you as to which techniques make the most sense for your horse and how you find the places to rub or apply pressure. Always verify with your veterinarian that the methods are safe and will not hinder healing. Extracorporeal shockwave therapy requires special equipment, but is a non-invasive therapy that is excellent for many tendon injuries, bone cysts and even fractures. It employs positive pressure acoustic (sound) waves that are sent into the injured area to encourage healing, partly by increasing circulation. Increased circulation is especially important in areas with lower blood flow, such as tendons and ligaments. Horses with navicular and back pain may also benefit from this therapy. One big advantage to shockwave therapy is that it has replaced the old treatment of pin firing, a painful technique that was often used for shin injuries. Horses with bucked shins and shin splints can now benefit from shockwave therapy to help with these conditions. Most horses tolerate shockwave therapy well and will stand quietly for treatment with the newer, smaller equipment; although, a few horses may require sedation. Although horses often show improvement within hours, they may appear to relapse in a day or two. But, don’t worry! With each treatment, the improvement will remain for a longer period of time. Work with your veterinarian to determine the number of treatments that your horse needs. All of these therapies are considered “complimentary” to a strict physical exercise protocol outlined by your veterinarian. Controlled physical exercise, such as hand walking, schooling under saddle, hot walker, treadmill or swimming, is the foundation of the rehab roadmap. These methods, along with the complimentary therapies, can assist in the complete recovery of an injured horse, as well as, help performance horses during show season. The big takeaway is that rehabilitation of injured horses provides the best outcome when a combination of methods are used. Of course, always remember to consult your veterinarian to develop a plan-of-action that’s specific to your horse’s injury and rehab goals. Along with the options mentioned above, you can also give a joint supplement like Joint Combo™ Classic or Reach® Joint product, which can assist with joint mobility as you reintroduce your horse to work. With a comprehensive plan, you will be back in the saddle sooner than you think! Joint Combo and Reach are trademarks of Farnam Companies, Inc.
Game Ready is a registered trademark of CoolSystems, Inc.